I’m new enough to bicycle touring that it holds a certain novelty which is lost to me with backpacking. Last week’s 4-day trip is the longest I’ve completed on a bike. 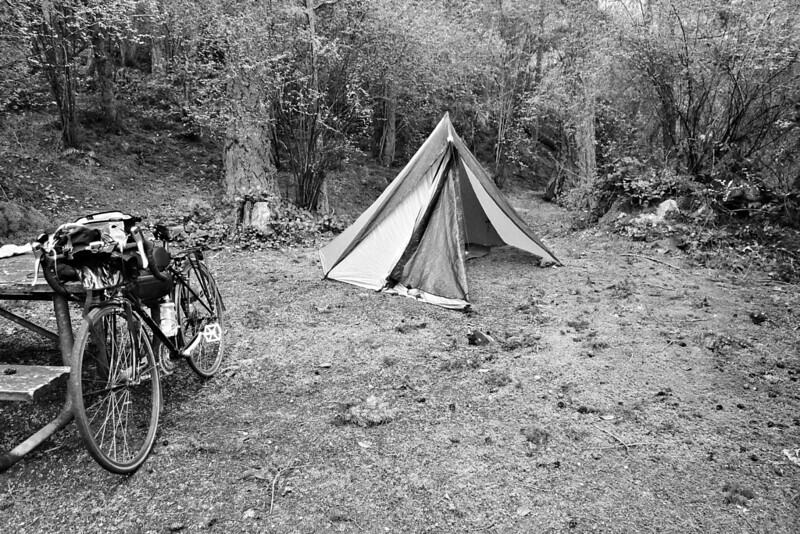 Much of the skills and gear crosses over from backpacking to bicycle touring, but there are some differences. When backpacking, any extra weight is noticeable but I rarely fill my pack. On the bike I find that I’m much more concerned about bulk than weight. A few extra ounces – or even a pound – of weight makes no difference to me when riding a bike, but I do always fill my bags. Bikepacking bags make sense and I’m a firm proponent of their use. Using them exclusively, without a rack, seems silly to me. A bike without a rack is like a pack without a frame. It may save a small amount of weight, but the trade-off is an unnecessary limitation on your carrying ability. 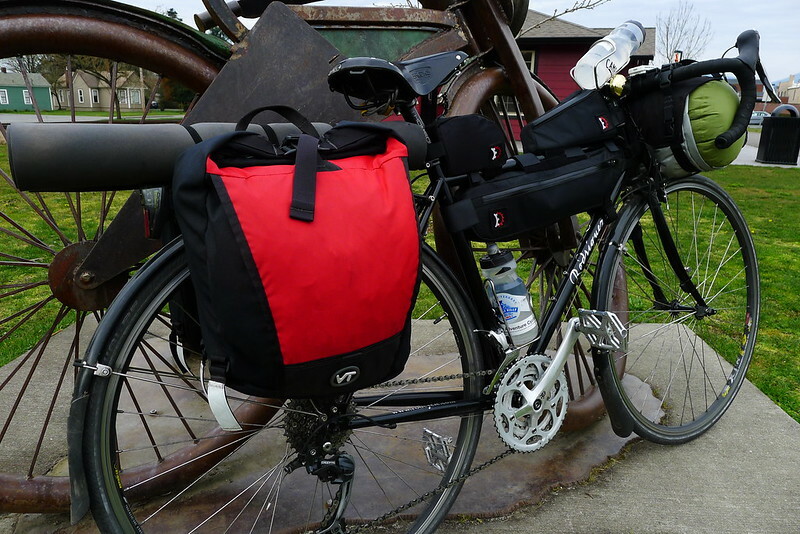 Last week’s tour was the first in which I used panniers to supplement the bikepacking luggage. I opted for a small set (custom built by a local company) that are actually intended as front panniers. The smaller size was much more appropriate for my needs than standard sized rear panniers. I foresee them being used on all future trips. A couple weeks ago I swapped out my crank. My old crank had the standard 30/42/52 gearing that you’ll find on most road triples. When you stop to think about it, it isn’t a very practical combination. I swapped it for a Sugino XD-600 with 26/36/48 chainrings. Paired with my 11-32 9-speed cassette, this has proven itself to be perfect. On my commute I can race along in the 48-tooth ring, smoking latex-clad roadies. When confronted with mountains on a loaded bike I can drop down to the 26-tooth ring and spin merrily to the top. I feel like I have a pretty decent grasp on most of the backcountry around here thanks to travel on foot. 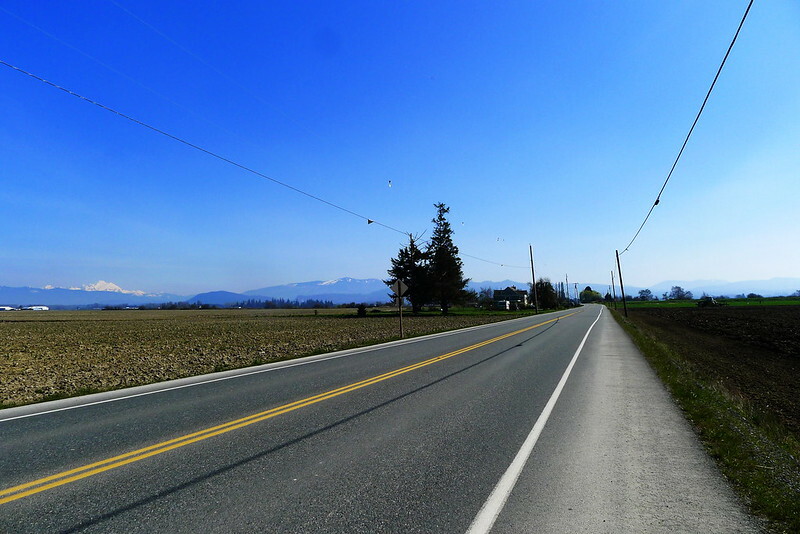 My bike is allowing me to build a similar mental map of the backroads. And the eating is better. This post was published on 2013-04-03 . It was modified on 2013-04-03 . It was tagged with bicycle, wilderness.